Gredos ibex, along with Beceite, Ronda, and southeastern ibex, is one of the four types of ibex to be found in Spain. From biological point of view, Ronda and southeastern ibex form one subspecies, and Gredos and Beceite ibex the other, but trophy books have different entries for each of the species because of significant difference in size and shape of the horns. Look for the Gredos ibex in the central mountain range of Spain, a short distance westward from the nation’s beautiful capital, Madrid. Spanish outfitters call Gredos ibex “the most exclusive and representative trophy of Spain”. You can tell as much from the price of the hunt. The price usually begins at about $8,000, and may reach $15,000 or more, if you are fortunate to harvest an exceptional trophy with some of the outfitters. Don’t forget to add the cost of preparing and shipping your trophy back home. The more expensive ibex hunts are usually package deals, with more than one trophy or species included, or calculated for a group of a few hunters. Ibex hunting in a different country will be not only an exciting and unusual hunting experience, but often an eye-opener into a different culture, and into the role that modern, regulated hunting plays as a powerful conservation tool. Read the first-hand voices of American hunters and their experience hunting ibex with an outfitter that carries out a community based, trophy hunting funded, conservation program. When to hunt Gredos Ibex? A Gredos ibex hunter may take advantage of the longest hunting seasons of all the Spanish varieties of ibex, running from early September to late June. The best time for ibex hunting is usually the rut, which happens in late November – early December. 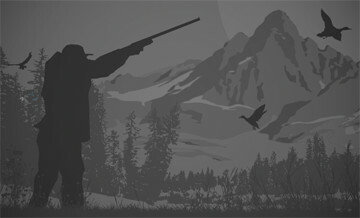 Some hunters, however, prefer to hunt the end of the season, May and June. Hunting Gredos Ibex is not much different from hunting any other kind of ibex. Prepare to get up early to be up in the mountains by sunrise and end the hunt at sundown, as the animals usually move about and feed in the mornings and evenings, and bed to chew cud mid-day. A siesta in the afternoon, when the ibex are hard to see, is not out of the question. This is a classic mountain spot and stalk hunt. Hunting ibex in Spain is a great introduction to mountain hunting, not only because it is a classic mountain hunt that takes place in a safe and easily accessible location, but also because you will be accompanied by an experienced guide who will help with anything from spotting to trophy estimation. The Gredos Ibex is the largest of the Spanish varieties of ibex, in both body and horn size. It has beautiful horns, tightly curled in a lyra shape. It is amazing how populations of basically the same species, located near each other, develop such different shapes of horns, and it’s easy to understand hunters who seek to collect all four subspecies of Spanish ibex. The hunt will take place in the heart of Spain, offering rich opportunities to explore the country’s rich cultural heritage, exclusive cuisine, vibrant nightlife, and (in the start and the end of the season) seaside rendezvous. If you’re looking for a perfect family vacation topped with an exciting classic mountain hunting adventure, you simply can’t pass a chance to hunt Gredos ibex in Spain. Gredos ibex (Capra pyrenaica victoriae) is the largest and darkest in color and has the largest horns. Typically, the horns are lyre-shaped with a pronounced curve and a spiral turn of more than 180 degrees. Horn thickness decreases progressively from the base to the very thin tip. While this is the typical Gredos horn conformation, other horn shapes may be found in this region and even in the same herd. Gredos are a range of Mountains located in about 2 hours from Madrid city. There is lot of game in a beautiful landscapes. Probably the most representative trophy of Spain. His Lire form horns are very special.